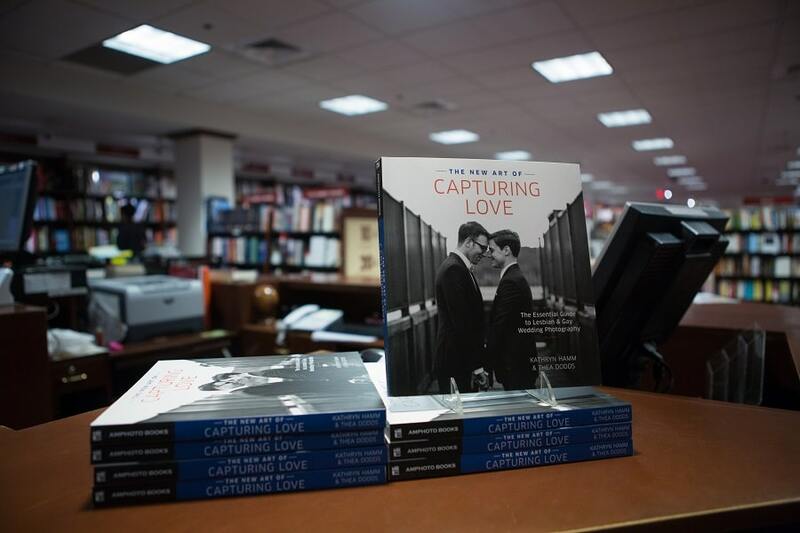 One of the best parts of being on the road with the Capturing Love Book Tour is getting to speak with customers in the store, book clerks, friends and family and to otherwise watch (at times unobserved) as customers in the store interact with our book. We chose our event in Boston on May 9, during our release week, for two reasons: 1) we consider it Thea’s ‘home base,’ providing us with a wonderful opportunity to celebrate the launch of the book; and 2) it allowed us the chance to celebrate ten years of marriage equality in the state that started it all back in 2004: Massachusetts. Good evening, everyone, and welcome to the latest edition of the Coop Author Series. 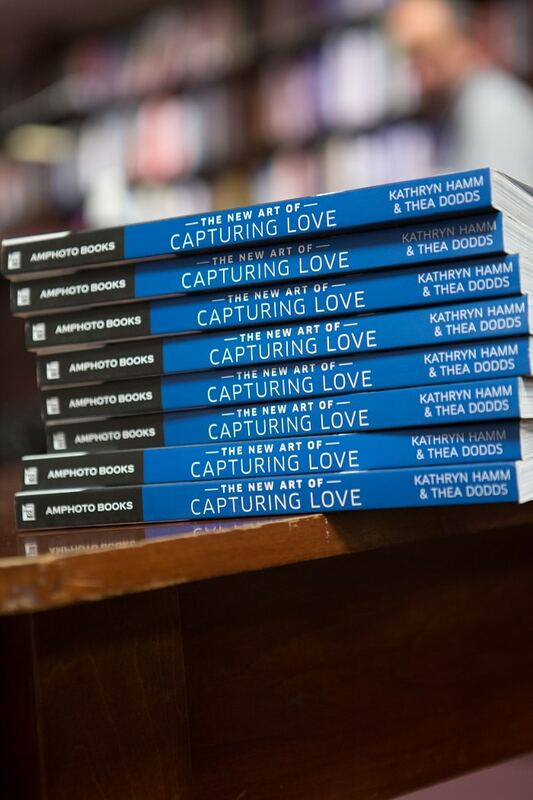 Tonight we are honored to have with us Kathryn Hamm and Thea Dodds, authors of THE NEW ART OF CAPTURING LOVE: THE ESSENTIAL GUIDE TO LESBIAN AND GAY WEDDING PHOTOGRAPHY. When one thing changes, everything changes. Now that marriage equality is at long last a reality, it follows that wedding planning and wedding photography would undergo a revision as well. Enter Kathryn and Thea, two wedding professionals, who have collaborated on a dazzling book that keeps pace with these recent cultural advances. Published just a few days ago by Amphoto Books, this handsome volume has something for everyone: for photographers wishing to explore this new market, for gay and lesbian couples preparing for their big day, for the fan of photography, and even for the casual reader, who might – quite unexpectedly – learn a lesson about acceptance and tolerance and love. If it is the first book of its kind, then we say: Let it be the first of many. 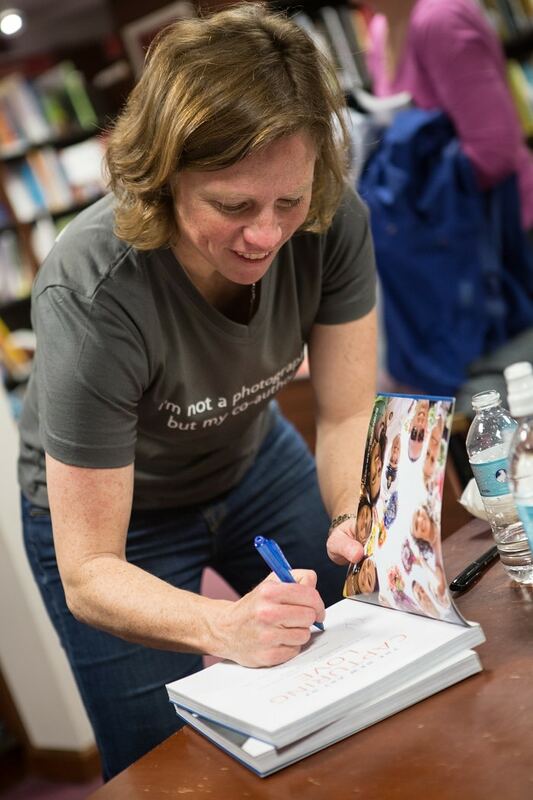 We had a wonderful night in the heart of Cambridge and we are grateful to the many folks who joined us at the book talk and signing. We’ll be in New Hampshire, Washington DC, Coral Gables, FL and Miami, FL in early June. We hope to see you there!